Costa Mesa, CA, is one of the fastest growing cities in America. Since World War II, its population has quintupled. That’s no surprise, considering the beautiful views and coastal backdrop. Since the beginning, Costa Mesas landscape has always been one of the big draws to the area. Its parks and hiking trails have long been favorites of locals. Parks like Fairview and TeWinkle are the perfect places for a family picnic or relaxing bike ride. Costa Mesa is also home to the Orange County Fair, which every July draws over one million visitors to the fairgrounds. There, you can check out some live entertainment and sample local food and drinks until your belly is full. While Costa Mesa offers a perfect mix of small-town charm and big-city appeal, the best way to get around is still by car. 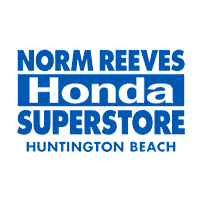 If you’re in the market, you can easily find a Honda dealer near Costa Mesa at Norm Reeves Honda Huntington Beach. Even though we’re a Honda dealer near Costa Mesa, you don’t have to head over to our lot just yet. You can sit back and relax while searching for your next car on our website. You can check out models like the popular Honda Civic, the spacious Honda CR-V, and the road-commanding Honda Pilot. Those are just a few of the many models you can find in our online inventory. In addition to all the latest and greatest new Honda models, we feature a wide selection of used cars. Check out our used inventory online to see what exciting new specials we have lined up. We always have a featured selection of under $10,000 vehicles for you to peruse! We also carry certified pre-owned (CPO) Honda vehicles. In order for these cars to earn our stamp of approval, they have to pass our exhaustive inspection. Anything worn or damaged is promptly replaced so that we can return these cars to their original warranty. If you’re looking for extra peace of mind, CPO is the way to go. At Norm Reeves Honda Huntington Beach, we try to be as helpful as possible to our drivers. We know that buying a new car is a big decision you can’t take lightly. That’s why we have a library of free research materials you can use to make the best decision possible. Our vehicle reviews introduce you to your favorite Honda models while highlighting some of their impressive features. You will learn about performance, style, amenities, and safety. For further research, we recommend checking out our vehicle comparisons. They’re great if you’re torn between models. You will learn how they differ and see the clear choice that’s right for you. When you’re actively seeking a reliable Honda dealer near Costa Mesa, one factor you need to consider is customer service. We aim high when it comes to helping our guests and showing them a good time while they’re here. Our goal is to sell cars, but our most important priority is for you to leave happy. When you visit our dealership, a member of our team will show you around our showroom and lot. They will answer your questions and provide you with their honest opinions. When you find a model that you like, they’ll help you take the next step by scheduling a test drive. When it comes time to start discussing financing, have your sales representative direct you to our finance department. Our financiers will gladly help you apply for your loan. If you have some concerns about your credit, rest assured that our experts have been able to find solutions for subprime situations on many occasions. They work with some of the best lenders in the country, just to ensure that you get approved, no matter what your credit score looks like. If your car needs maintenance or repairs, you may be hesitant to drop it off to just anybody. However, our service technicians are just as adept as our financiers and sales representatives. They have years of experience under their belts repairing a wide variety of problems. Is your transmission on the fritz? Maybe your battery has been giving you trouble? In either case, our team has the right tools to diagnose the problem properly. They’ll then have it solved and the car returned to you as soon as possible. When we say that were dedicated to serving our community, we truly mean it. We’ve been a Honda dealer near Costa Mesa for many years, and in that time, we’ve developed a deep attachment to the area and our neighbors. For us, giving back is important. While we hope that we are giving back every day with our great selection and prices, we also frequently donate to our favorite local charities. Organizations like Colette’s Children’s Home and the Children’s Hospital of Orange County mean a lot to us, and were more than happy to support them. Taking a vehicle on the road is one of the best ways to determine if its the one for you. Youll get a feel for how it handles on the road. You will also get to see some of the interior features. After your test drive, you will pull into our dealership and know if you’ve just driven your next car. Nothing makes us happier than to have you find the car you love. At Norm Reeves Honda Huntington Beach, were always happy to help Costa Mesa drivers find the car that’s right for them. Contact us today to schedule a test drive!